''There's so many recipes I want to try''. That was the reaction of my wife when she looked through this book in the store at the weekend. Needless to say, we had to buy it and it has already thrown up a marvelous midweek meal for the family and I can't wait for more of the same. 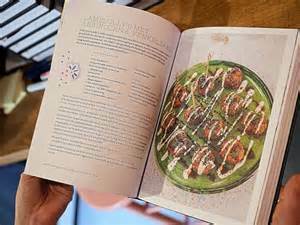 The golden girl of Persian cookery and author of the award-winning 'Persiana', Sabrina Ghayour, has another fabulous cook book on the market. Her new publication 'Sirocco - fabulous flavours from the East' is a stunning feast of new and exciting recipes, with eye-catching photographs of mouth-watering dishes that you will just want to cook. The sirocco, is a hot, dry wind that blows from East to West and is sometimes described as warm, spicy and sultry and the same can be said for Sabrina's new cookbook. A collection of more than 100 new recipes that bring the tastes of the East to western-style dishes - for meals bursting with flavour. 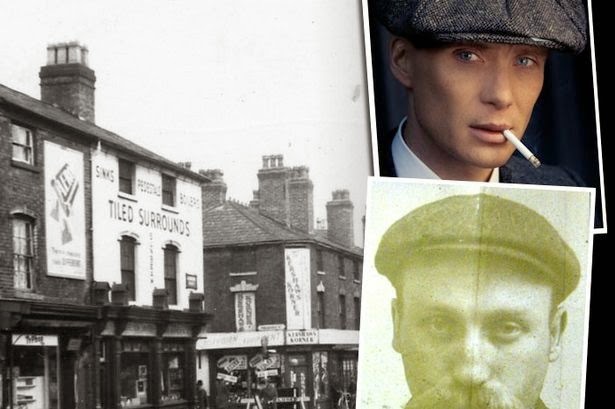 The Mail on Sunday called it 'Sumptous, thrilling, learned and downright brilliant', while The Observer gave it, 'An instant classic' review. Divided into nine sections, including an introduction in which Sabrina provides a background to heritage and inspirations, the chapters take the amateur cook from her kitchen cupboard with its range of spices through breakfasts, lunches, mains and desserts. None of the recipes are authentic Middle Eastern but instead, her own style of uncomplicated, full flavoured recipes that reflect the kind of cooking Sabrina does the most. Those avert to spicy food will be reassured to know that not everything in the book is aggressively spiced or full of chilli heat. Most dishes have a subtle blend and balance of delicate contrast flavour, you wouldn't have thought possible. Sabrina says that she is frustrated when Middle Eastern food is summed up using the word 'spice' or 'spicy' because this isn't always the case and, often, it is about aromatics, citrus, the fragrance of herbs or even the way something is cooked and served. This book is about food that is not Easterern or Western, just straightforward and satisfying. Having said all that, I did not find it straightforward to find one of the frequently used herbs in a number of Sabrina's recipes - Sumac. Try asking for it at the supermarket. They look at you as if you have arrived from Mars! Sumac, is a common ingredient in the Middle East - a red berry that is dried and ground into powder for use as a seasoning. Its aromatic citric flavour cuts through fat and is ideal in salads, on vegetables, in breads and with fish instead of lemon juice. Sabrina says that she uses it in everything. So if it was to be part of our kitchen store cupboard I had to find it on Amazon and get it delivered - which it was yesterday! 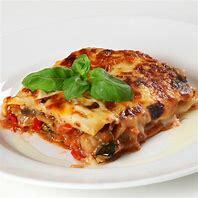 There are too many wonderful recipes accompanied by delightful and colour-intense photos, to do justice here. So picking out a few may wet your appetite to go out and buy this excellent all-inspiring cookbook. 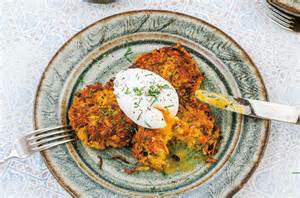 For example, last night we tried Butternut Rostis with Poached Eggs (above) and what a success! We love rostis anytime but this dish has coarsely grated butternut squash instead of potato and sliced spring onions which with the array of spices in the recipes gives the dish a warm comforting taste, and the poached egg on top is a lovely bonus. The pig that I am, I ate two! Although the rostis are among the breakfast and brunch recipes, and we had them for supper, it seems that apart from the desserts, the dishes can be eaten anytime. I love the look of Bread Boats - a popular Turkish and Georgia bread featuring a fried egg on top. Courgette Fries are a regular in our house, but I can't wait to taste them with added Sumac Salt - a blend of sumac and sea salt flakes. The Light Bites and Savoury Snacks look yummy and all are ideal party food with difference. 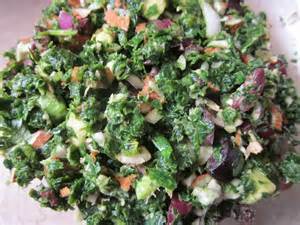 The salads featured are just spectacular - Carrot, Tahini and Toasted Hazelnut Salad caught my eye, as did the Marinated Kale Salad (below). On the 'Mains' front, there are some mouthwatering dishes like Chicken and Apricot Stew with Preserved Lemon and Harissa and Eggs. Harissa is another spice that is now a constant in our kitchen and Ms Ghayour seems to love it too. Equally, I like the look of her Stuffed Peppers - the ingredients are left fairly large and rugged, nothing is over-chopped, so the tomatoes, pine nuts and herbs state their place in the dish. And finally, Sabrina's desserts are simple and understated - Lime and Basil Cream, Quince Tartin and Nectarine Pavlova, just to highlight three among many. 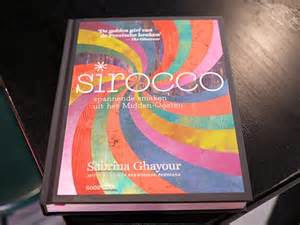 'Sirocco' by Sabrina Ghayour, with photography by Haarala Hamilton is published in Great Britain (2016) by Mitchell Beazley, a division of Octopus Publishing Group Ltd (ISBN 978-1-78472-047-6) and available at a cost £25.00. I purchased the book from UK's Lakeland store at a special offer price of £10.95. Get yours today!